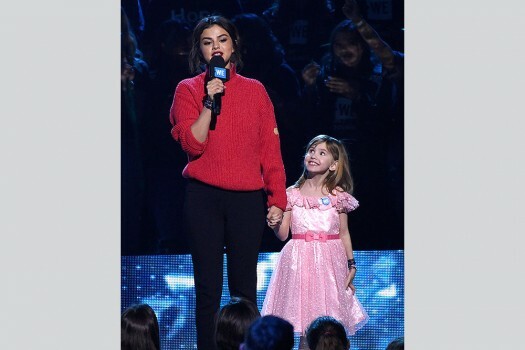 Selena Gomez, left, and Nellie Mainor speak at WE Day California at The Forum in Inglewood, California. Singer Selena Gomez poses upon arrival at The British Fashion Awards 2017 in London. Selena Gomez, left, and Francia Raisa arrive at the Billboard Women in Music event at the Ray Dolby Ballroom in Los Angeles. 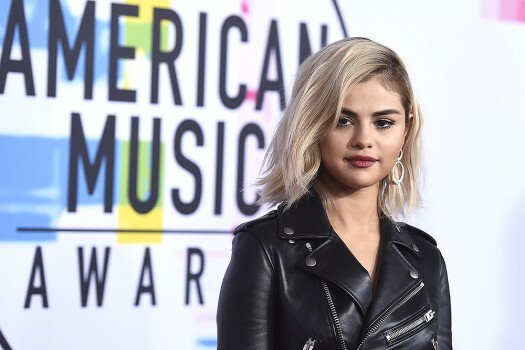 Selena Gomez arrives at the American Music Awards at the Microsoft Theater in Los Angeles. Selena Gomez performs "Wolves" at the American Music Awards at the Microsoft Theater in Los Angeles. Actress-singer Selena Gomez blows a kiss to photographers at the 3rd annual InStyle Awards at the Getty Center, in Los Angeles. Actress-singer Selena Gomez, right, poses with Makeup Artist of the Year Hung Vanngo at the 3rd Annual InStyle Awards at the Getty Center, in Los Angeles. 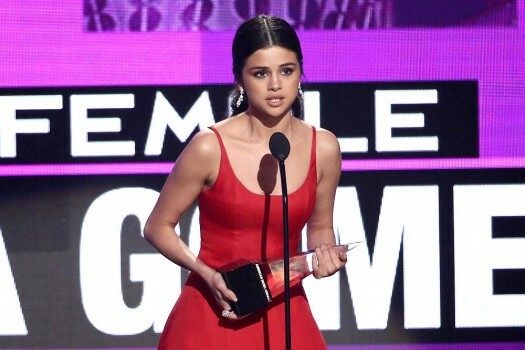 Selena Gomez accept the award favorite female artist pop/rock at the American Music Awards at the Microsoft Theater, in Los Angeles.